The Polkaholics, West Country based St Patrick's Day favourites play a wide range of folk music from all over the British Isles, North America & even Australia! Not only Irish but a wide range of folk music from all over the British Isles, North America and even Australia! At the core of the Polkaholics are Gervais Currie, Elliet Mackrell and Rory Campbell – all multi-instrumentalists in the true trad spirit. 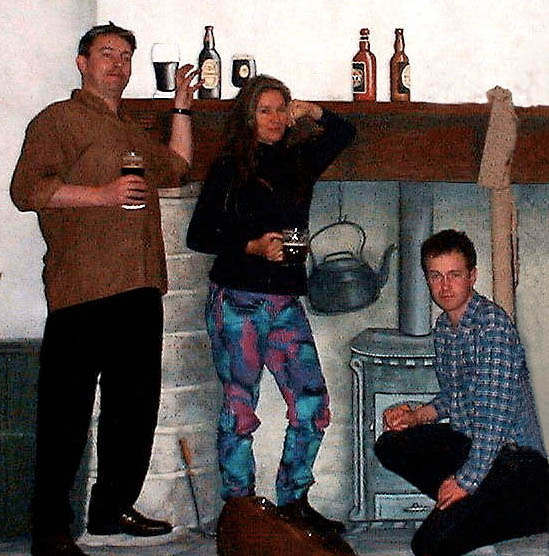 The three have been playing together in various guises for over five years rolling out Irish dance tunes – played either with crystal decanter sensitivity or at breakneck speed as the situation demands – and songs ranging from the oft-requested to unknown gems. Nor is the repertoire limited to Ireland’s shores with its range of Scottish, French, Australian and American bluegrass tunes and songs. Among the three core members, the line-up features fiddle, guitar, bouzouki, low whistle, five-string banjo, tin whistles, bodhran, bones and didgeridoo, as well as vocals. Other ‘associate members’ provide extra punch on mandolin, slide guitar, electric bass, percussion and backing vocals. The Polkaholics are based in London and have performed in many of the city’s well-established folk venues. 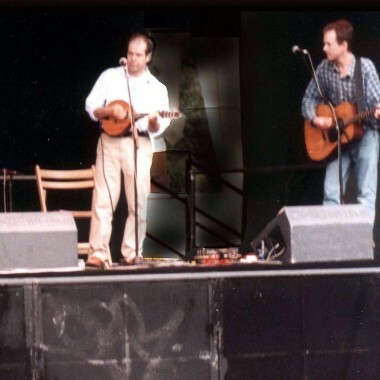 They play at a range of venues and events further afield throughout the UK as well as performing at Glastonbury and the Sidmouth Folk Festivals. Overseas performances include playing for the Irish and Northern Ireland Tourist Boards, ABTA conventions in Australia, Marbella, Tenerife and Istanbul, as well as privately organised tours in France and Central Europe. 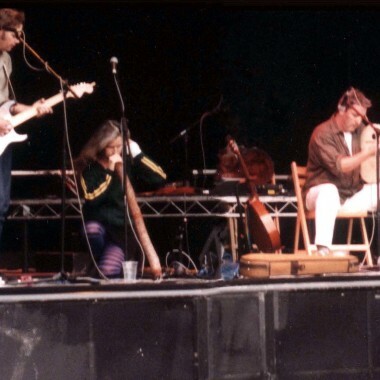 Elliet Mackrell was a founding member of seminal Australian touring group Kangaroo Moon, in which she played fiddle and didgeridoo, as well as many other instruments. She learned her didg playing in the Australian outback the time-honoured way, and has developed the circular breathing technique so essential for proper performance. At solo didg shows she can bring along a range of effects to enhance the raw sound of the didgeridoo. The members of the band also offer workshops in bodhran, tin whistle, singing, didgeridoo and fiddle-playing at a range of levels. “I just wanted to say a very big thank you for your help arranging the Polkaholics to play at our wedding party last night.